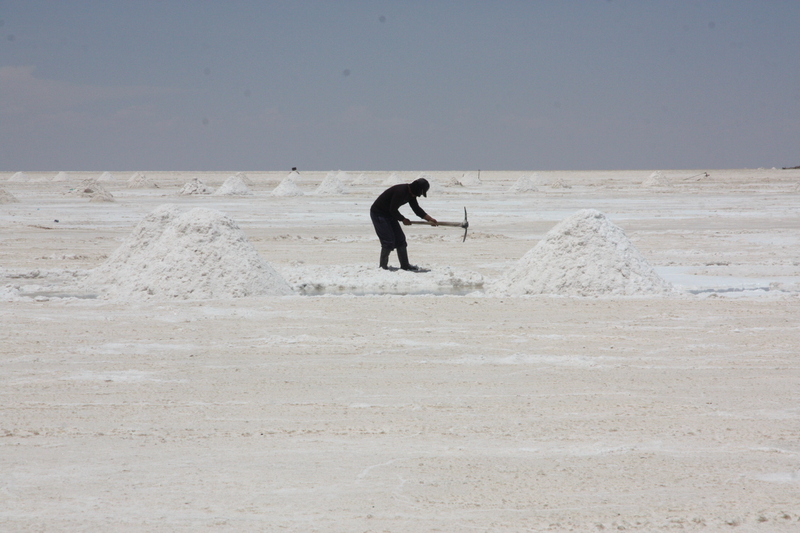 The salt of the earth—it’s in Bolivia | Where to next? As much as I love salt, I never expected to be standing in the middle of the largest salt flat in the world. But that’s exactly where we ended up on a day-long adventure to see the Salar de Uyuni in southwest Bolivia. Everything about the salt flat is impressive. For starters, it covers 10, 582 square kilometres and sits at an elevation of 3656 metres. It also has 50 to 70 per cent of the world’s lithium reserves (which is still being under accessed). Plus it’s really, really flat. The altitude varies by no more than a metre over the entire area of the Salar. A fleet of soon-to-be-rusted-out 4WDs carried us to and across the flat at speeds of up to 100kph. When you look over the vast expanse of dazzling white, it’s hard to imagine the drivers have any idea were they’re going. And it’s a little disconcerting when you can see the speedometer! 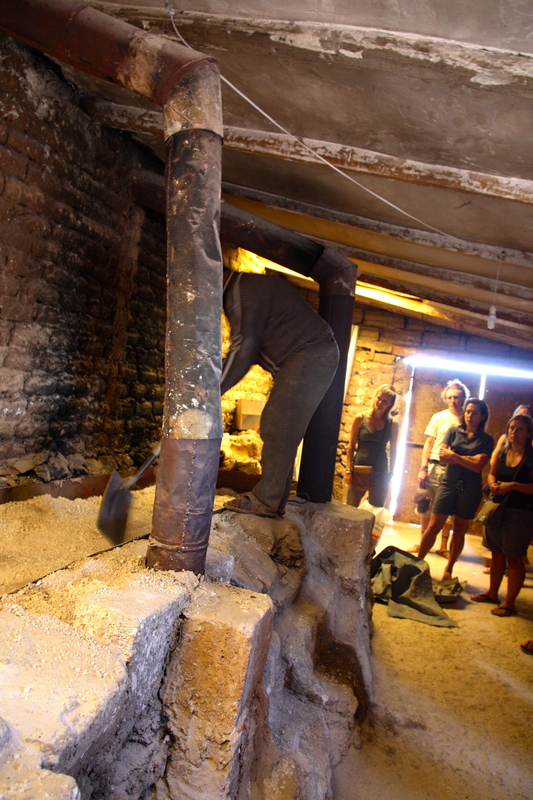 Our first stop was at a small salt-processing community near the perimeter of the flat. For a donation of a couple of coins, we had a tour of the ‘plant’. The miners start by collecting salt from the fringes of the flat. We saw this step later, but I have added a pic here so the sequence makes sense. Once brought in by decrepit trucks, the salt is dried outside in mounds. It’s then carted inside and spread over crude homemade ovens and dried for about 30 minutes. There’s a third drying period before the salt is bagged using a rather primitive method of hand scooping the salt into small plastic bags, which are then heat-sealed. I suppose the operators are so used to scooping salt that they can calculate 500 grams per bag, but you would never give them gold stars for quality control. No salt is exported. Neighbouring countries have salt flat too, although none is as large as the Salar de Uyuni. I read that it has 10 billion tonnes of salt, of which only 25,000 tonnes is extracted each year. Miners working in the Salar all belong to Colchani’s cooperative. After our tour, we had time to visit the salt museum (not open) and inspect the ever-present souvenir shops. Besides woolly garments, all the items for sale are made of salt. Then it was time to speed on to the Eyes of the Salar and the cactus island in the centre of the flat. Stay tuned for these instalments. There were quite a few cars out there, and they weren’t all hauling tourists. Because of its location, expanse and flatness, the Salar is an important transport route across this part of Bolivia. I think vehicles can even drive to Chile from here. G’day am continuing to enjoy your adventures and the salt flats must have been pretty surprising too! LOVE the salt horse! Did you know according to the Australian National Geographic, six of the best salt lakes are located in Australia; 2 are South Australia too! When next you and Poor John are in South Australia, you should check out the salt marches off of Port Wakefield Road, as EVERY time I pass, I ALWAYS comment about their beauty too! The eyes of the salt flat are upon you « Where to next? How about some prickles with your salt? « Where to next?